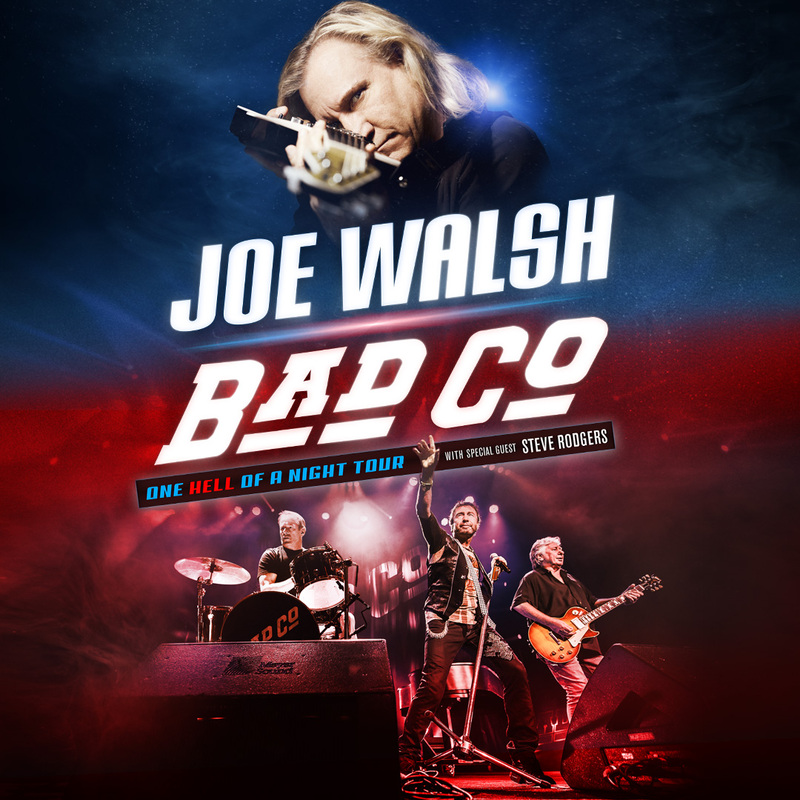 Performing with Joe Walsh will be some of his backing band members from his record-setting solo Walsh Tour 2015, including Joe Vitale, his Barnstorm bandmate on drums and adding Chad Cromwell on drums; Waddy Wachtel on guitar; Larry Young on bass and Jimmy Wallace on keyboards. Leslie Fuller, Connie Jackson, Windy Wagner and Rickey Washington will be background singers and Clayton Janes on samples. Tickets for the ‘One Hell Of A Night’ tour go on sale to the general public March 11 and 12th. Joe Walsh Fan Club members will have access to an exclusive VIP Package pre-sale beginning Tuesday, March 8 at 10am local time. Fan club pre-sale access for concert tickets will begin on Wednesday, March 9 at 10am local time. Fan Club members should watch their emails for details. Citi cardmembers will have access to pre-sale tickets in select markets beginning Tuesday, March 8 at 10:00 a.m. through Citi’s Private Pass Program. For complete pre-sale details visit www.citiprivatepass.com. Visit the Events Section for a full list of tour dates and on sale details.